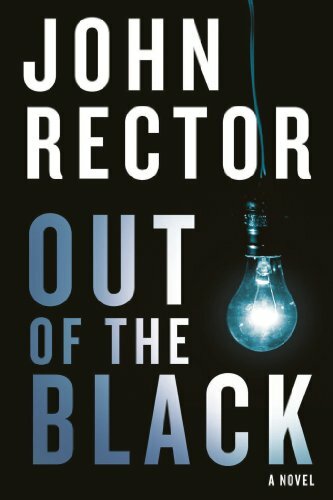 John Rector’s Out of the Black has an exciting premise: ex-Marine, grieving and lost, gets in over his head in a kidnapping gone WAY wrong, then has to work his way through a bad situation. I snapped this one up immediately and expected a full-throttle read. Which I got. Unfortunately, the non-stop action actually got in the way of the story. Don’t get me wrong, this novel will keep you glued to the pages as you churn through the story. I read it in a single sitting and discovered a few surprises along the way that I didn’t see coming. However, while the action flexes like it’s on steroids, the characters don’t quite crawl out of two-dimensionality. This is a B-movie played out in the pages of a book, with characters that have clear motivations, plenty of pressure along the way, but I would have enjoyed getting to know them better. Matt Caine, our hero, seems like a likeable guy overall, but he agrees to a kidnapping after getting pressured in ways that weren’t quite revealed on the page. Things were hinted at rather succinctly, but they never truly got in our face so we could sympathize with where he was. There’s also some commentary done regarding a possible PTSD problem he’s having after leaving military service, but that never manifests either. If he’s got problems, I just didn’t see them. That seemed to be more a label that was hung on him after his in-laws to leverage his daughter away from him. Granted, I’ve seen plenty of books where the character just wallowed way too much in the unkind vagaries of life, and I don’t think this character needed to wallow, but I wanted to see more of what was wrong in his world. This book practically takes place in a day or two and there’s just no decompression/taking stock of the situation places for the reader to grab a breath and imagine the worst. The villain never quite gelled for me either, and he should have because he was plenty threatening. He also had quite a backstory that would have made him both larger than life and sympathetic to a degree. All of that gets revealed too late, though. But if you’re looking for a rip-roaring read that engages you on a visual level rather than an emotional one, Out of the Black will probably grab you and never let you go. This entry was posted on June 2, 2013 at 5:22 am and filed under Adventure,Crime,Suspense,Thriller. You can follow any responses to this entry through the RSS feed. You can leave a response, or trackback from your own site.